Connecticut’s leading designer of custom invitations. Our mission is to provide you with the highest-quality invitations and enhancements possible in a timely fashion and at a competitive price. We promise to listen to you and help you achieve your desired look and style. We will always be there with honest, expert advice and quick, friendly customer service. Our goal is to meet and exceed your expectations. Renowned for creating custom invitations in Weston, CT.
We welcome you to a personalized invitation experience unlike any other. Our Fairfield county boutique studio specializes in wedding invitations, Mitzvah invitations, stationery, and envelope addressing. 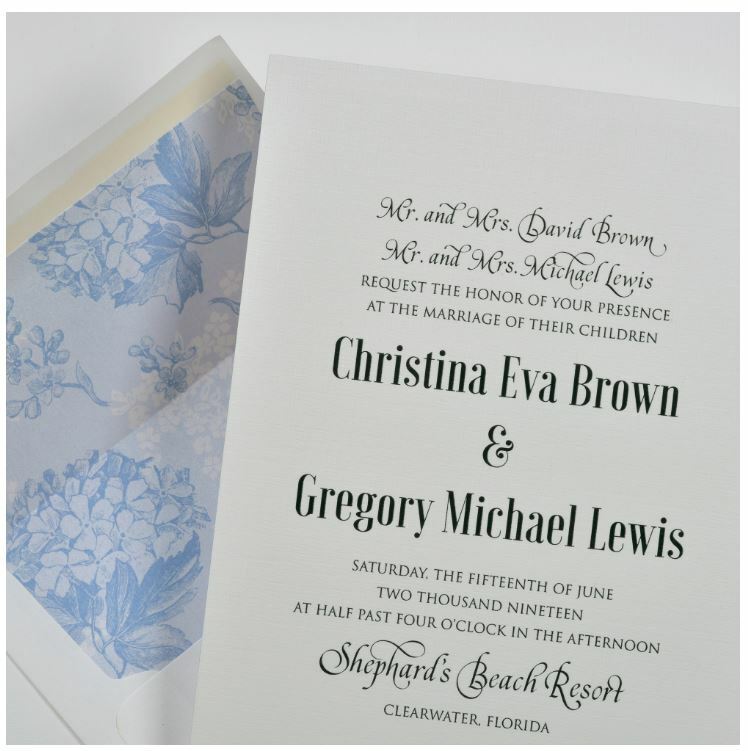 Your wedding invitations demand attention to detail and perfection. Your wedding is one of the most important days of your life. It’s important you have stylish and personalized wedding stationery that you’re proud and excited to send. Before you know it, your daughter will be looking forward to her Bat Mitzvah Day. There is no shortage of options to make your invitation exciting. This invitation will set the tone for the ceremony and celebration you will be inviting your friends and family to attend. Make your invitation as exciting and beautiful as the milestone you plan to celebrate. Mazel Tov! Your son is about to become a Bar Mitzvah. Make a great first impression with a gorgeous and unique invitation. Once you choose the perfect invitation, you can print it as is, or customize it down to the smallest detail. Our expertise guarantees that your invitation will be produced with love and care, while respecting your budget. The options are as unique as you are. Ring in the New Year with a sparkling display of holiday cards, pads, gifts and more! We have hundreds of styles and various printing methods to suit your taste and needs. We’d be honored and delighted to work with you on your invitation and stationery needs. Our studio is centrally located in Weston, CT to serve Fairfield County + Westchester County clients.